If the Edmonton Eskimos don’t rename the team before next season, the 2018 Grey Cup could be tarnished by racially-charged controversy, says Mayor Don Iveson. If the Edmonton Eskimos don't rename the team before next season, the 2018 Grey Cup could be "beset by a very charged" debate about the issue, warns Mayor Don Iveson. "This conversation is not going to go away," Iveson said in an interview with CBC Radio'sEdmonton AM on Thursday. "With the Grey Cup coming here next fall, it's going to be difficult to imagine that conversation not coming back in an even more significant way over the next year. "I worry that what would otherwise be a very positive Grey Cup could be beset by a very charged conversation around the team name." In August, Eskimos president and chief executive officer Len Rhodes said the club was consulting with Indigenous leaders, but had no plans to change the Eskimos name, despite critics who say it is an antiquated term for people of Inuit heritage which many consider derogatory. Amid the Inquiry into Missing and Murdered Indigenous Women in Edmonton, and ongoing reconciliation efforts in the city, suggestions the name should be expunged need to be taken seriously, he said. "From the point of view of the national Inuit organization, the term is offensive," Iveson said. "I totally understand that the team has a name that they believe they use respectfully, but the team's position seems to be changing, which I think is good. "They're saying that they're listening, they're open to feedback." Iveson's comments come after Winnipeg Mayor Brian Bowman, publicly called on the Edmonton Eskimos to change their name to something "more inclusive" during a news conference on Wednesday. Bowman, who is Métis and Winnipeg's first Indigenous mayor, is the latest public figure to wade into the controversy, which has plagued the franchise for the last few years. Similar petitions have been made to the NFL's Washington Redskins, Major League Baseball's Cleveland Indians and Atlanta Braves and the NHL's Chicago Blackhawks. Canada's national Inuit association, Inuit Tapiriit Kanatami, which represents 60,000 Canadian Inuit, first petitioned the Eskimos in 2015. 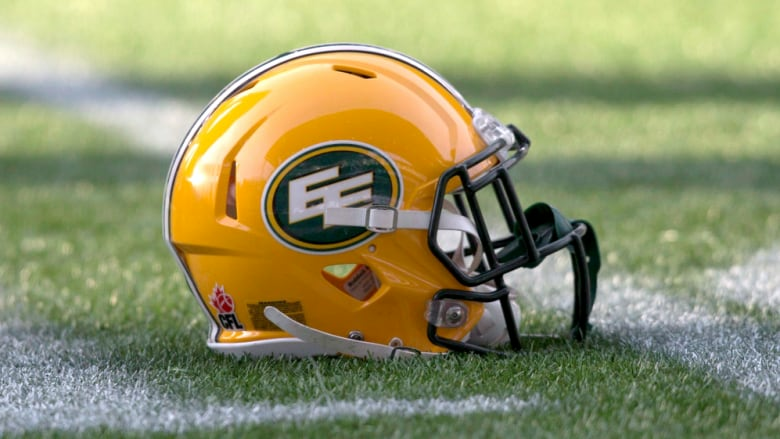 Association leader Natan Obed said the Eskimos name is unacceptable, and reiterated his stance on its hurtful definition during an interview on Wednesday. "It is my hope that the team will respect the wishes of Inuit and replace its moniker with a team name that is not widely considered an ethnic slur, and does not use an Indigenous ethnicity as its base." said Obed on Wednesday. "As concerns with the team name has nothing to do with rivalries or gamesmanship, I wish all CFL teams luck in their upcoming playoff games."